New Life Church’s Remnant Youth Group is led by Deacons Tom and Sandy Pardee with help from Justin and Renee Helsel. The Remnant meets every other week after the 2nd service throughout the school year, hearing the word of God, fellowshipping, completing mission projects and learning to be disciples of Christ. 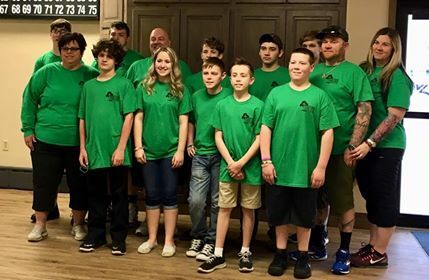 Our mission minded youth are active participants in an annual conference to “Fire in the Mountains” in Friendsville, Maryland. They also serve through a Youth-led service one Sunday each spring and they often lead the Christmas Eve service here at New Life Church. Any interested teen in grades 7-12 is welcome to join. If you have any questions about the youth group, please feel free to contact Tom & Sandy.